Shared living is no longer just for those moving out of the family home or for university students looking for cheap housing, according to recent data by Flatmates.com.au. Figures from the flatshare listing site have revealed the median age of those looking to live in each suburb of Australia—with some surprising results. 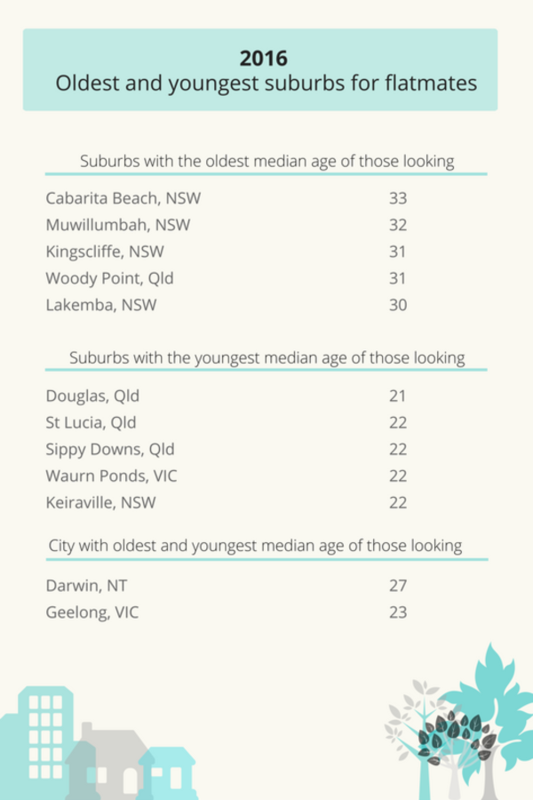 Cabarita Beach, on the NSW Tweed Coast, had the oldest median age of those looking for a place to share in 2016 at 33 years. Beach and bush locations proved to be the most popular choices for mature sharers with Murwillumbah (NSW), Kingscliff (NSW) and Woody Point (Qld) featuring the oldest median ages. Douglas in Townsville’s south—home to James Cook University—had the youngest median age of seekers at 21 years. University suburbs (or those close to) featured heavily on the youngest list with St Lucia (QLD), Sippy Downs (QLD), Waurn Ponds (VIC) and Kieraville (NSW) rounding out the top five. Darwin had the oldest median age of any city in Australia at 27, while Geelong featured the youngest median age, 23. 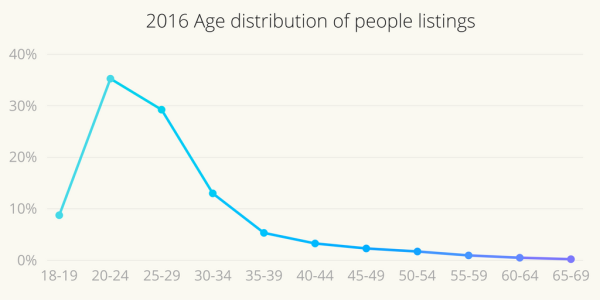 The data, based on 291,217 room wanted listings created on the site during 2016, also revealed the median age of someone seeking a shared home nationally sat at 25. 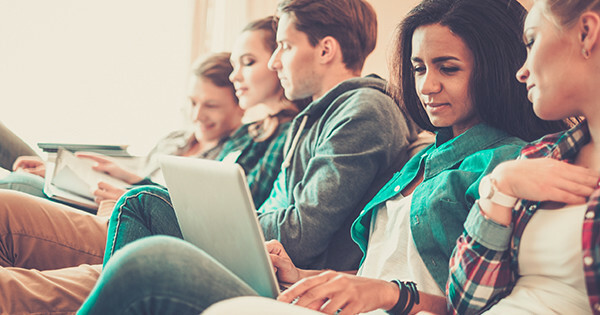 Flatmates.com.au, Chief executive officer, Thomas Clement said the data dispelled the myth that only students or home leavers wanted to share homes.